Born on a farm at Lurgy, County Tyrone, Ireland on 14 February 1871, he attended public school and took a course in bookkeeping. After working as an egg and poultry shipper, he moved to Belfast where he worked for two years in a financial office. 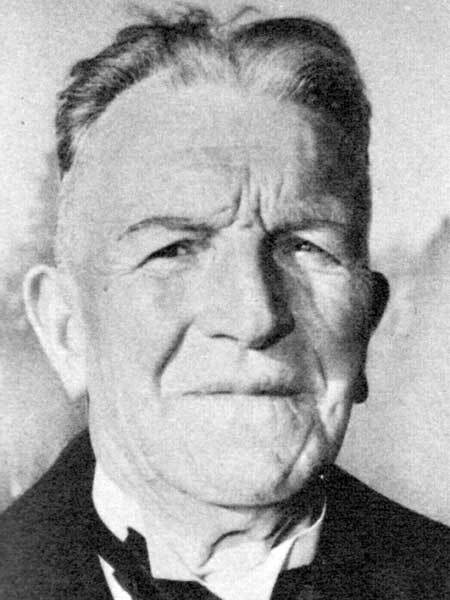 In 1894, he emigrated to Canada with his brother Henry and worked as a storefront clerk, cattle rancher, bookkeeper, and salesman before spending seven years building country grain elevators, first as a labourer and working his way up to foreman. He enrolled in Manitoba College and graduated in 1905, took an MA degree three years later then, the following year, a Bachelor of Divinity degree. While a theological student, he was the student-Minister at Riverview Presbyterian Church (1906). His first ordained charge was at St. Andrew’s Presbyterian Church in La Riviere where he served for three years (1908-1910). The next three years were spent at Killarney followed by a ten-year charge at Souris, then at the Norwood Presbyterian Church (Winnipeg). In 1926, he was moved to Fort William [now Thunder Bay], Ontario. There founded the First Church United, also preaching at St. Paul’s United Church. He was Vice-Chairman of the Fort William Board of Education and joined the Liberal Party, becoming the local candidate for federal office, winning the nomination from Hon. Dr. R. J. Marion by over 900 votes. He served the community for many years as a six-time elected Member of Parliament of Fort William (1935-1958). He advocated for a national old age pension and saw his resolution become law. While working in a mission field at Rosser he met Gertrude Margaret Bissett (1882-1966, sister of Eliza May Bissett and Maud A. Bissett), who he married on 30 December 1908 at Winnipeg. They had six children: Margaret May McIvor (1909-1999), Daniel Erskine McIvor, Gertrude Ellen McIvor (1913-2007), Eva Maude McIvor (1915-2003), Mary Bisset McIvor (1917-1919), and Ruth Florence McIvor (1922-2008). He retired from federal politics in 1958, and lived in retirement at Fort William, Ontario until his death on 2 September 1965. “Presbyterian,” Winnipeg Tribune, 7 May 1921, page 9. “St. Paul’s,” Winnipeg Tribune, 8 June 1929, page 10. “Parliament by Charles Lynch,” Ottawa Journal, 15 May 1936, page 15. “Rev Mr. McIvor’s ‘Flag’,” Winnipeg Tribune, 20 September 1945, page 8. “Con man gets Dan McIvor’s $250, watch,” Ottawa Journal, 28 April 1959, page 7. “Former MP Dan McIvor dies at 94,” Ottawa Journal, 3 September 1965, page 1.